The NanoSpeed hundred series is Yonex new line of low cost performance badminton racquet using the latest nano tube technology. 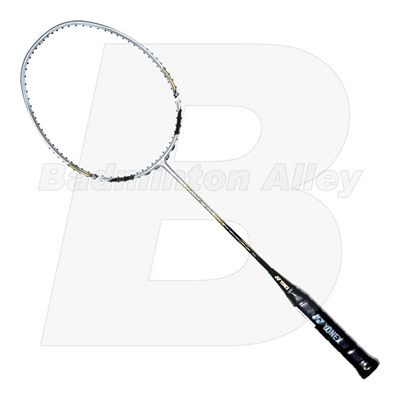 The NanoSpeed 800 (NS800) is an aerodynamic and widebody racket with a head light balance. This racket is designed to generate power from fast speed swing. An excellent racket for defensive and quick shot game. Lightweight and easy to adjust. Custom strung with Yonex BG-65 performance string. By controlling how badminton racquet material performs at the level of a thousand millionth of a particle unit, YONEX reduces the amount of racquet material the shaft needs for high strength. 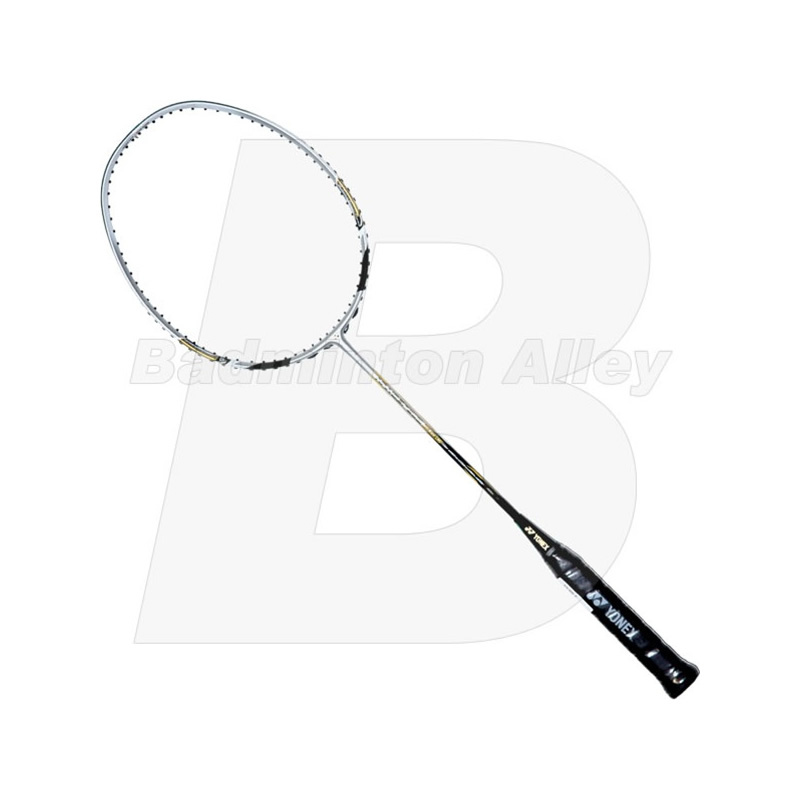 This makes the NanoSpeed line of badminton racquets shaft thinner and stronger to realize the long-time badminton player dream of a thinner and strong frame for quick racquet maneuverability. Yonex NanoSpeed badminton racquets are Nano-powered by fullerene for more repulsion and speed from a compact swing. Traditional badminton racquet constructions increase the thickness of graphite or carbon fibre layers for high strength, which adds weight to the frame and makes a racquet difficult to maneuver. The YONEX nano-strucure uses nano-size particles of fullerene and carbon. The YONEX nano-particle engineering process gives YONEX sensitive control over how the badminton racquet materials function at the molecular level. The process establishes a high-performance molecular bond of the materials and creates a stable, thinner and stronger headlight badminton racquet that delivers maximum power and speed from a compact swing. Factory testing demonstrates that by nano-powering the badminton frame—the part of the badminton racquet where stress concentration is highest—the YONEX NANOSPEED badminton racquet provides 30% more impact resistance than an ordinary badminton racquet, 10% more durability and 5% more repulsion power.